The Board of Directors sets policies and direction for MCPAW and is responsible for all actions with respect to standards, policies, procedures, campaigns and initiatives as are necessary to carry out the mission of MCPAW. Dave has owned and operated a pet supply business in Montgomery County since 1979. Whether working to educate clients regarding proper care and better nutrition for their companion animal or working with organizations to improve the lives of all animals, animal welfare and companion pet education have always been a high priority. Dave has received the Outstanding Humanitarian Award from Montgomery County as well as the “Lefty” award from People Animals and Love (PAL) for his efforts and assistance in fund raising and humane education in after school programs. Dave hopes to be able to concentrate his efforts on reducing animal homelessness as well as helping with enrichment for animals while they are at the MCASAC. Allan is a founding member of MCPAW. For his involvement, love and concern for the well-being of animals, Allan received the Humanitarian Award for his work in Montgomery County, as well as in Louisiana following Hurricane Katrina. A Harvard graduate with both Masters and Doctorate of Education, Allan has served as a State Education official in Massachusetts and Illinois and was an education lobbyist on Capitol Hill. He currently serves as a consultant in community, business and real estate endeavors. He was also a founding member of the Potomac Community Centers and was honored twice as Potomac Citizen of the Year. 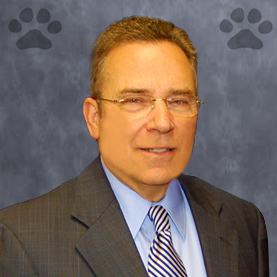 Through the over 30 years Allan has lived in Montgomery County, he has served as Chairman of the Animal Matters Hearing Board as well as numerous other Boards. Allan and his wife of over 40 years, Ellen, have three children, four grandchildren and two grand-dogs. Kalman Stein has worked with dozens of non-profit organizations since 1981, and for the past 26 years as the President and CEO of EarthShare. During that time, Mr. Stein persuaded dozens of major corporations and government employers to support EarthShare, and under his leadership the organization raised over $300 million in donations, built 16 affiliates and chapters, and represented more than 600 national local charities, enabling more than 8 million employees nationwide to easily contribute to environmental and conservation causes. He also developed the EarthShare name and brand and obtained over $650 million in donated media support for EarthShare's public service advertising campaigns. Under Mr. Stein’s guidance, EarthShare won contracts to manage numerous large workplace charity campaigns, including the Combined Federal Campaign (CFC) of the National Capital Area. Mr. Stein was also the first appointee to the federal CFC50 Commission that made recommendations to the federal government for modernizing the CFC, and he was the founder of the CFC Foundation, which he currently chairs. Mr. Stein was also the founder of the Charities@Work coalition that represents more than 2,000 health and human service, international development, and environmental charities. The coalition developed and manages the annual Summit on Employee Engagement and Corporate Citizenship that is in its 15th years and is attended by companies such as Apple, United Health Group, Accenture, Microsoft, and JP Morgan Chase. Mr. Stein holds a B.A. and a M.B.A. from the University of North Carolina at Chapel Hill. Steven is the Founder and President of Abaris Realty, Inc., a property management firm based in Rockville, MD and specializing in the management of condominiums and homeowner associations. Steven has been an active member of the community ever since helping to found the Club Friday youth program at the Potomac Community Center over 20 years ago. The Club Friday program has expanded to almost all Montgomery County Recreation Centers and has earned Mr. Landsman the Rotary Club of Potomac’s Annual Community Service Award (1996) and the Potomac Chamber of Commerce’s Citizen of the Year Award (2008). 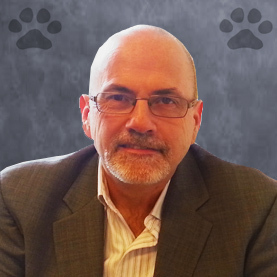 Steven’s areas of interest with MCPAW include his love for animals and his desire to ensure that all pets have a safe, sanitary, and friendly environment in our local homes and businesses. 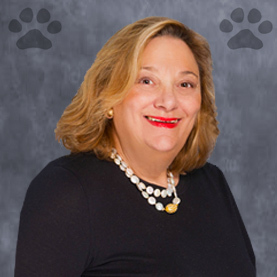 Abaris Realty is a pet friendly business, which provides a daily home for Bilouxie, a Hurricane Katrina rescue dog, who serves as the office’s unofficial mascot and improves employee morale. He wants to ensure that other helpless animals receive the same second chance that Bilouxie has. Lynn and her husband and moved to the Washington area in 1976 for the beginning of the Carter Administration. Her career was focused on the nonprofit world. She served as Alumnae Director of her College, and Director of Corporate Development at the Folger Shakespeare Library. Later, Lynn spent many years in the event and meeting business. She currently owns Designs by Lynn Novelli- a high fashion custom designed jewelry business. Lynn became involved with MCPAW because of a lifelong commitment to animals and their well-being. Lynn and her husband are the proud parents of a rescue dog named Chester. Elizabeth initially began working with MCPAW in March of 2010. Originally she became involved in MCPAW through her work at WealthEngine and volunteered to consult MCPAW on their fundraising helping to lay the ground work for strategy and the brick campaign. As an animal lover herself it was a natural fit. At WealthEngine, a Bethesda based company, Elizabeth works with the product management team as Director, Product Management to develop new product innovations that will assist customers in providing research tools to execute their fundraising and marketing strategies. Prior to joining WealthEngine, Elizabeth worked in fundraising, development and special events for The Heritage Foundation in Washington, D.C., worked in residential real estate sales, and conducted fundraising on a congressional campaign. She earned her BA degree in English and Political Science from University of Vermont. Ray brings the experience of a lifelong animal lover to the MCPAW Board. He is a volunteer at MCASAC and can often be seen walking dogs or greeting visitors to the Adoption Center. In the past he has volunteered as an adoption counselor, dog walker and an animal foster parent – including two litters of puppies – with Lucky Ones Rescue in Southern Maryland. He is excited to be working towards improving the well-being of Montgomery County’s animals. Ray and his family, which includes Mowgli, a rescued Plott Hound mix, live in Kensington. Andrea Kelly has been an animal lover throughout her life. This led to a major in Biology at Cornell University and a PhD in Neuroscience from the University of Southern California. As a penniless student, Andrea developed hobbies making jewelry and tie-dyes—necessities for maintaining her concert-going habit. She moved to Montgomery County in 1995 and is currently an employee of the Department of Health and Human Services. Having maxed out on the number of mammals her home could fit (currently 1 husband, 4 children, 2 dogs, 9 cats, and two guinea pigs), Andrea spends her time, through MCPAW, using her fundraising, hobby, and professional experience to help shelter pets. Zsuzsi Zetlin is a personal fitness trainer throughout the Washington Metro region, a devoted fundraiser for animal organizations, and a strong advocate for the well-being of all animals. Zsuzsi received the President's Volunteer Service Award in 1998 for establishing and volunteering at the Tiger Creek Wildlife Refuge in Taylor, Texas. Presently, Zsuzsi is a volunteer at MCASAC, a place she refers to as "the most extraordinary place I have ever worked.” Zsuzsi is married to Mark, and has 2 daughters, Sherri and Julie (a former 2012 US Olympian). Zsuzsi’s daughters have followed in her footsteps in rescuing animals. Today, the Zetlin family includes Sobe, a 10 years young furry bundle of joy Pomeranian rescued from Miami; Lola and Remy, 2 years young bonded luvbugs rescued from Los Angeles; and Potyi, a newly rescued cat brought from Hungary. Zsuzsi became involved with MCPAW in October of 2015. Zsuzsi wants to make a meaningful difference in the lives of the animals residing at MCASAC and help facilitate their adoption. Arman is a dedicated volunteer ambassador at MCASAC focusing primarily on the dogs. As a volunteer, Arman assists in taking dogs out for walks, cleaning kennels, and providing much needed TLC. Additionally, he takes some of the more stressed dogs on regular outings to give them a break from the shelter environment, and give them more exposure to potential adopters. Arman has two years of banking experience with Suntrust and M&T Bank, and is currently pursuing a career in property management. Arman is also pursuing a BBA in accounting, expecting to transfer-graduate from the University of Maryland at College Park. 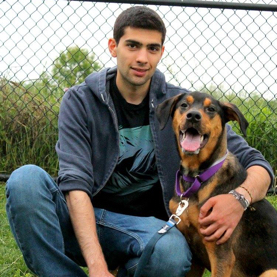 Between juggling school, work, and volunteerism, Arman enjoys going on hiking adventures with his dog, Autumn. Animal welfare can be overwhelming yet compelling, which is why Arman recognizes the importance of community involvement. It is one of his projects to get people, young and old, more involved in volunteerism whichever their cause may be. Arman plans on joining the lobbying efforts focused on the fight against abuse, and discrimination, specifically BSL (Breed-Specific Legislation).